Swelling Waterstops – Cormix International Limited. A flexible swelling waterstop for concrete construction joints. Replaces conventional waterstops. For sealing/waterproofing construction joints through concrete such as king posts & pipes below grade.Area of application include tunnels, basements, culverts, underground structures, pools, reservoirs, canals etc. A flexible swelling waterstop designed to swell in salt water conditions as well as normal water Replaces conventional waterstops in construction joints. construction joints penetrations through concrete, such as king posts and pipes below grade in salt water conditions. Area of application include tunnels, basements, culverts, underground structures, pools, reservoirs, canals etc. A hydrophilic (swelling) rubber sealing waterstop strip used to seal site formed construction joints and precast concrete segments. For sealing construction joints in tunnels, station boxes, underground water retaining structures, basements, other construction joints and precast segments etc. A water based protective delay coating used to stop the premature swelling of Contite Waterstop in wet conditions. Used to delay welling of Contite Waterstop for several days in wet conditions. A non-flammable, water based adhesive especially formulated to work with Contite Waterstop concrete construction joint waterstops. Used to secure Contite Waterstop to concrete, metal, wood and PVC surfaces on both vertical and horizontal applications, as well as around through wall mechanical and plumbing penetrations. 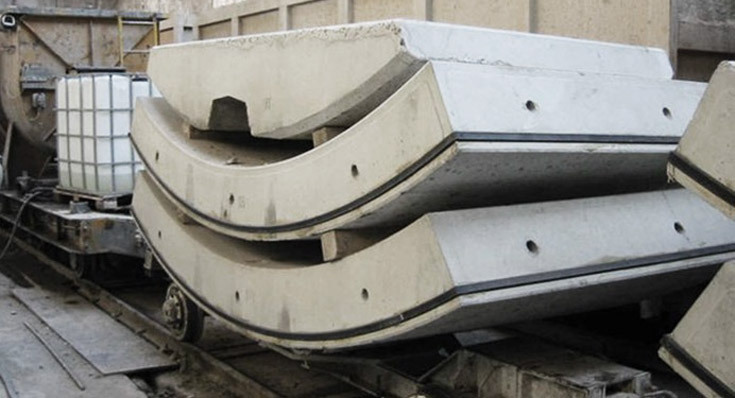 DESCRIPTION :A flexible swelling waterstop for concrete construction joints. Replaces conventional waterstops. DESCRIPTION :A flexible swelling waterstop designed to swell in salt water conditions as well as normal water Replaces conventional waterstops in construction joints. DESCRIPTION :A hydrophilic (swelling) rubber sealing waterstop strip used to seal site formed construction joints and precast concrete segments. DESCRIPTION :A water based protective delay coating used to stop the premature swelling of Contite Waterstop in wet conditions. DESCRIPTION :A non-flammable, water based adhesive especially formulated to work with Contite Waterstop concrete construction joint waterstops.